Emerging Newcastle trio The Pale White have premiered the official music video for their awesome new single Downer, out now through Ignition 45's. Produced by John Martindale and the band at Blank Studios, Downer is a rousing, thunderous indie-rock track that goes straight for the jugular. This is what I love about them: killer guitar works and just that groovy rock vibe! Watch it it below! 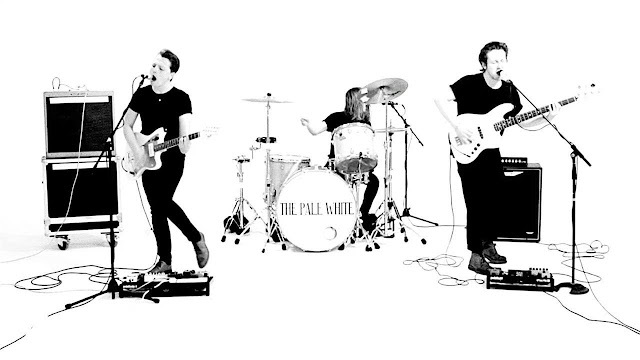 Downer will also feature on The Pale White EP out on September 29th which includes The Pale White's previous singles Reaction and Turn It Around as well as Let You Down. This will be released digitally and on limited edition white coloured vinyl. Having supported Twin Atlantic on their May UK Tour, The Libertines, High Tyde and The Sherlocks and played at numerous festivals this summer including Glastonbury (BBC Introducing stage), Kendal Calling, Barn On The Farm, Neighbourhood Festival and Reading and Leeds Festival, The Pale White are heading out on a 10-date UK tour as main support for The Amazons in October. The Pale White are: Adam Hope (vocals/guitar), Jack Hope (drums) and Tom Booth (bass).